It isn’t just that Indian kids play with Chinese toys and use Chinese made stationery, it’s that we’re using Chinese melamine, cosmetics, clothing, gadgets and numerous other products in our day to day lives. Cheap Chinese products are becoming a ubiquitous part of our festivals and have infiltrated our way of life! In Gujarat the time honoured tradition of the ‘tukkal’ is now replaced with the cheap and cheerful Chinese lantern for Uttran (Uttarayan). 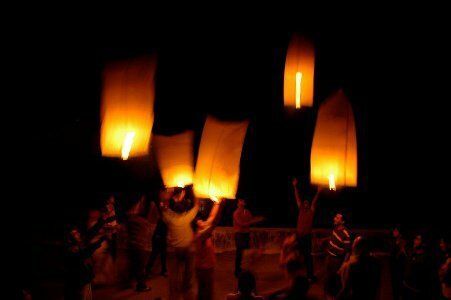 After a whole day of kite flying, uttran evenings were for the ‘tukkals’ – typically handmade paper lanterns with a lighted candle inside. First a large kite would be launched and then the tukkals would be attached carefully to the kite string. The better your skill as a kite flyer, the more tukkals your kite would be able to support. 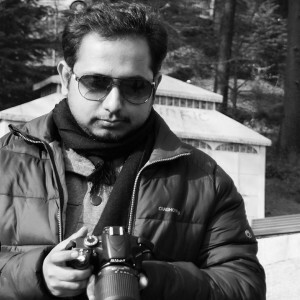 There would also be a ‘guard kite’ that would protect the tukkal kite from being cut. It is the Chinese lantern that has replaced the tukkal now. Costing only a few rupees and requiring no skills whatsoever, thousands and thousands of Chinese lanterns dot the skies on Uttran and Wasi Uttran days (14th and 15th January). The skies look really pretty it must be admitted; the fact that dozens of flights are delayed and countless accidents occur as a direct result of the lanterns would just be some collateral damage. The competition on uttrayan is fierce: the quality of your manja or kite string and your skill as a kite flyer will determine how many other kites you can down with yours and how many times the joyous cries of ‘lapet’ (wind up your string) will ring out from your terrace. 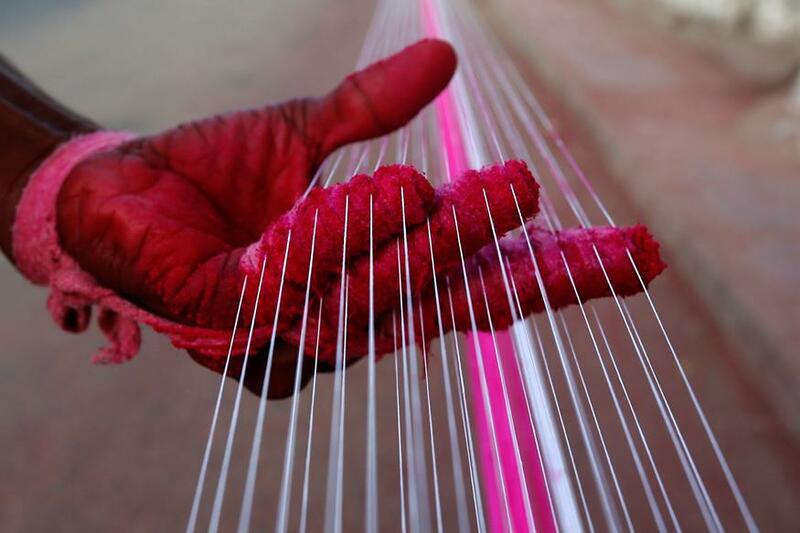 Traditionally, manja is made by treating kite string with glue, colour and powdered glass to make it sharp. 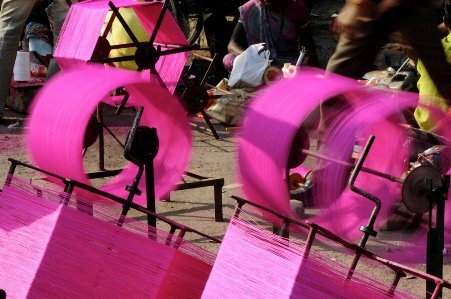 Now the kite string on the firki (spool) is also of Chinese origin – it is stronger, sharper and more destructive and predictably costs about 50% less. 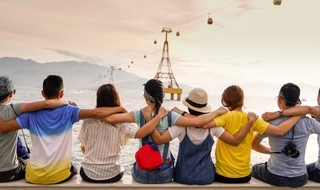 Though it is banned because of injuries to humans and bird fatalities and other negative impacts on the environment, Chinese manja is still used. Demand is still high and surreptitious sale of Chinese manja is alive and well. 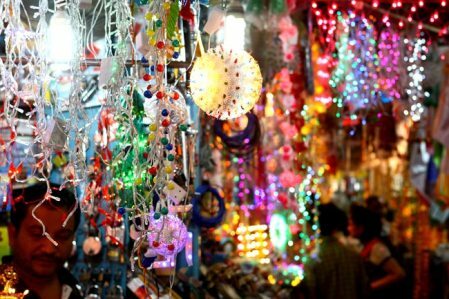 Chinese items also feature in many other festivals: we have cheap Chinese lights for Diwali, Chinese gulal and Chinese made pichkari (squirt guns) for Holi. What next? Chinese modak for Ganesh Chaturthi? The Chinese already have kids’ toys that play Om, Jaijagdish Hare, after all.